Cardi B Proves She Is Here to Slay with 'Invasion of Privacy'! Look out, world, Cardi B has officially arrived! Yes, at long last, Cardi B’s debut album Invasion of Privacy came out today and we are truly #blessed. This 13-track (very NSFW) album features her rags-to-riches story, a message of self-confidence, and, of course, a shout-out to the haters who didn’t believe she would come this far. Invasion of Privacy shows us that Cardi is not playing and she has come here to stay! The album features songs we're already familiar with like “Bodak Yellow”, which sparked her career, as well as other famous ones like “Bartier Cardi”. Cardi gives us a look at her personal life as well, revealing her sense of humor and realness in her new songs. Her new tracks feature collaborations with Migos, SZA, Chance the Rapper, J Balvin, Bad Bunny, Kehlani, 21 Savage, and YG. What better group of artists could she have recruited to join her in the success of her debut album? In just one year, Cardi went from being a reality show star from “Love and Hip-Hop” to beating Beyoncé in making history and becoming the first woman to have five Top 10 hits on Billboard’s Hot R&B/Hip-Hop songs chart! Her undeniable energy, personality, authenticity, and talent have led her to become one of the top artists in the hip-hop industry. With Invasion of Privacy, we get to see a strong, raw, feminist, and assertive Cardi who has defied all odds to get to where she is. 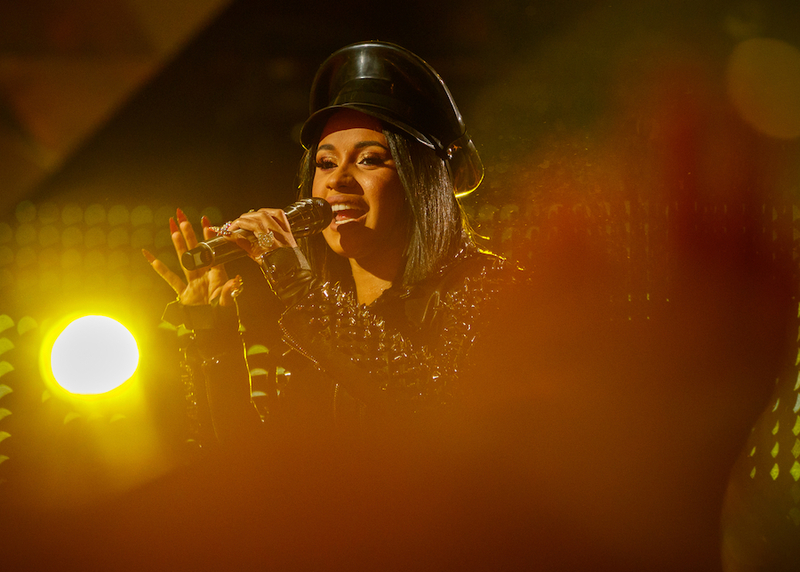 Cardi shows us how she is not ashamed of who she was and what adversity she has gone through in “Best Life”, while “I Like It” brings her Dominican heritage to the forefront with beats of Salsa that will for sure get you dancing. In “She Bad”, she talks about her different facets in life and how she owns them. Besides the usual confident and outspoken person she is, Cardi also lets us see her vulnerable side in “Ring”, “Be Careful”, and “Thru Your Phone”. We learn how she dealt with trust issues, infidelity, and someone who was no longer interested in her relationship. Cardi finishes her album with “I Do”, which is an anthem of empowerment and how she will keep pushing the envelope while true to herself. Cardi recently signed a movie deal, performed at the Grammys with Bruno Mars (who she will be touring later this year), and has now released her debut album. If there’s one thing we know, it's that Cardi is on a roll! Make sure to give her album a listen and have it on repeat!